Most teen drivers eagerly await their chance to venture out in a vehicle on their own. With that, of course, comes enormous responsibility, given the grave potential for serious injury and death. A new study by AAA further underscores that point, revealing 16-and-17-year-old motorists were three times more likely to be involved in a deadly auto accident than older drivers. As the school season begins, parents must remain ever-vigilant in keeping a watchful eye on teen drivers, doing all they can to discuss the dangers and monitor problematic or risky driving habits, such as distraction, carelessness and impairment. Victims of negligent teen drivers will likely seek damages from the bodily injury liability policy purchased by the young motorist’s parents. If that is inadequate, they may pursue coverage from their own uninsured or underinsured motorist coverage insurance carrier. Teens may first obtain a provisional instruction permit at the age of fifteen. Permit holders may only drive when accompanied by a licensed driver over the age of twenty-one who is sitting beside the permit holder. Mobile devices may not be used by permit holders while driving. After a permit holder has completed one hundred hours of supervised driving (or fifty hours plus a driver’s education course), he or she may take a driving test to apply for a provisional driver license. This test may be scheduled up to thirty days before a permit holder’s sixteenth birthday. Provisional license holders may not operate mobile devices while driving until they are eighteen years old. For the first six months of holding a provisional license, a driver may not drive with a passenger under the age of twenty who is not a member of his or her immediate family. 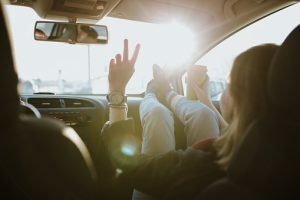 For the next six months, the provisional license holder is prohibited from carrying more than three passengers under the age of twenty who are not members of the driver’s immediate family. Provisional license holders are also prohibited from driving between midnight and five a.m. with limited exceptions. At the age of eighteen, a driver may apply for full driving privileges. Ensure your teen has practical driving experience before driving in areas of heavy traffic. Practice driving in open, low-stress environments such as empty parking lots. Smartphones are not the only driving distractions faced by teens: passengers pose a serious risk to driving safety. Consider the rules which will best protect your teen driver when passengers are in the vehicle. These rules may exceed those laws enacted by the state in the graduated driver’s licensing program. If your teen has been injured in an auto accident, he or she has legal rights which must be protected. Contact a Portland auto accident attorney as soon as possible.